Inspect your roof before the rainy season begins. Call a roofer today! We’ve just begun the rainy season in Northern California. So far, we’ve just had a few bands of showers, but we all remember the strong gusts and heavy downpours of last winter’s storms. If you haven’t done so already, make sure you get up on your roof and perform a basic visual inspection. 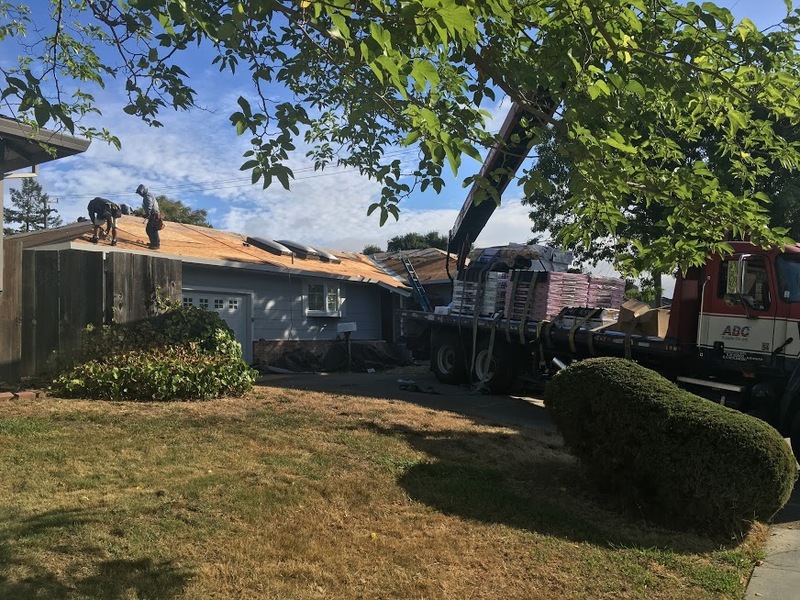 If you, like most homeowners in the Bay Area, have a sloped, shingled roof, be on the look-out for any damaged or missing shingles. Just one missing shingle can result in leaks and further roof damage. When you inspect your roof, also test the gutters and downspouts to make sure water can flow through them unimpeded. Remove the cause of any blockages you encounter and repair any damaged or weakened spots. During the autumn, keeping your gutters free from debris can be a challenge, especially if you have many deciduous trees near your home. But fully functioning gutters are essential for preventing standing water from accumulating on your roof. For homeowners with flat roofs, a visual inspection is more challenging, since the surface is usually covered with gravel. I recommend going into your attic or crawlspace to check the roof from the underside. There, you’ll be able to see if any part of your roof is damp or showing signs of water damage. During the rainy season, it’s also a good idea to inspect your roof after a major storm passes through your area. If a fallen branch damages some shingles, you’ll want to know about it right away. Disruptive weather can also force leaves, dirt and other debris to clog your gutters and downspouts. If you don’t have a ladder or you don’t like heights, there are companies in the area that offer roof inspection services. Rainy season is here; don’t wait to get up on your roof! Be sure to inspect your roof before the rainy season gets well underway.